After successfully hosting the G20 summit in November, Regnum Carya Golf & Spa Resort was the venue of the Fikret Öztürk Clubs' Golf Tournament -named after the business mogul -over the weekend for the second time this year, which brought together golf clubs from around the country at Turkey's renowned holiday and golf resort town of Belek, in the southern province of Antalya. A total of seven teams participated in the three-day long tournament, which started on Friday, Dec. 18, with three teams from Istanbul, and one team from Ankara, Antalya, Bodrum and Turkish Republic of Northern Cyprus (TRNC) attending. Bodrum Golf Club won the tournament while the Taurus Golf Club from Antalya placed second and Ankara Golf Club placed third. The tournament, bearing the name of the chairman of Regnum's parent company, the Öztürk Group, brought together famous names from Turkey's business circles and high society. Öztürk, who also chairs the Bodrum Golf Club, was among the participants of the tournament. Yıldırım Demirören, industrialist and president of the Turkish Football Federation (TFF), also attended the tournament with Istanbul's Kemer Golf Club. Fikret Öztürk and his wife, Nurten Öztürk, presented the tournament awards in a ceremony on Sunday. The couple, who have earned a reputation for their successful investments since the 1980s, hosted press members on the sidelines of the tournament. Fikret Öztürk said their aim is to make Belek Turkey's national golfing brand and make the country a leading player in golf world. "Regnum Carya Golf & Spa Resort, which we introduced to Turkish tourism in 2014, has achieved worldwide success in a short period - about one-and-a-half years - and was the main hotel for the G20 Summit. 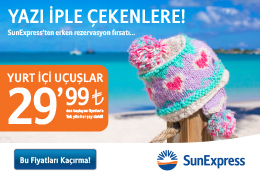 In the tourism sector we started off with the motto "everyone is special and should receive special treatment," and by the performance we showed at the G20 Summit, we received direct praise from leaders like Barack Obama and Angela Merkel. What most important is that we have promoted Belek to the world, and it is one of the globes most important golfing spots. Our aim in golfing is world leadership, with Belek at the center," Öztürk said. Regarding the future of golf in Turkey, Öztürk said that there are currently 1,500 to 2,000 golfers in Turkey, and this number can be increased by setting up more golf courses. He called on municipalities to establish golf courses in their cities, which would allow more people enthusiastic about golfing to experience the sport for themselves, and with more reasonable prices. Öztürk said that their total investments in the resort and golf clubs have so far reached $450 million and they continue investing. Regnum recently bought its adjacent hotel to expand its facilities. The Regnum Carya resort has two golf clubs on its premises, the Carya and National golf clubs, which are big enough to host the world's biggest events. 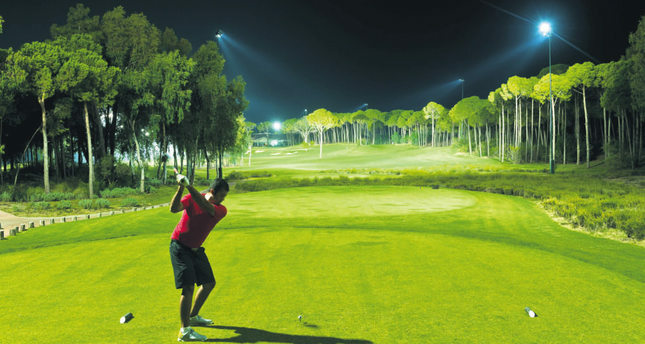 Öztürk point out that the facility serves golfers from Britain, Germany and Northern Europe, adding that Carya Golf Club has also become the first club in Europe to feature floodlights on its course, which allows golfing around the clock. "We have incorporated the National Golf Club, which is one of Turkey's oldest golf clubs, to our structure and made it a golf course with 27 holes by adding nine holes" Öztürk said. He also stressed that Crown Villa, which hosted President Recep Tayyip Erdoğan during the G20 Summit, was established with an investment of 5 million euros for an exclusive service to host world leaders, politicians, businessman and stars. The three-story villa, covering an area of 3,500 square meters, includes bulletproof glass, its own outdoor swimming pool, private spa center, terrace, and even a Maybach spared for its guests in its garage.